Evanston Chief of Police Richard Eddington attends a Human Services meeting. Representatives of the Citizen Police Complaint Assessment Committee, which evaluates EPD’s complaint process, questioned the effectiveness of citizen review committees. The Citizens’ Police Advisory Committee has evaluated police complaints for nearly a decade, but this month, Evanston residents questioned its effectiveness and transparency. Evanston residents from all nine wards serve on the committee, which functions as an independent citizen review board of all complaints filed to the Evanston Police Department. Representatives of the Citizen Police Complaint Assessment Committee, which evaluates EPD’s complaint process, asked CPAC committee members last week if they have any “real authority” over the outcome of police complaints. CPAC is the second component in a multi-step complaint process that begins within EPD’s Office of Professional Standards. The complaint is then brought to CPAC, which evaluates the incident and provides feedback to chief of police Richard Eddington. Finally, the complaint is presented to the city’s Human Services Committee, where the complaint and police investigation become public for the first time. 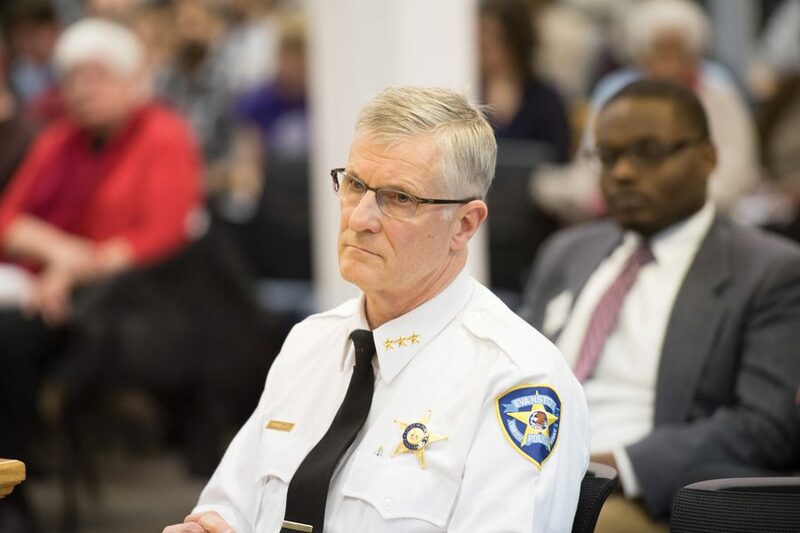 Human Services committee members can then voice their opinions about investigations, but assessment committee chair Matthew Mitchell expressed doubt as to whether city officials have authority over Eddington, who would ultimately enforce any discipline taken against an accused officer. Jim Gordon, another CPAC member, said if he disagrees with the way police handle a complaint, he will “make it known in writing,” but a written dissent does not guarantee any specific action by Eddington. Because CPAC reports back to EPD and Human Services, Citizen Police Complaint Assessment Committee member Jared Davis said their feedback “doesn’t really have any bearing on the situation,” especially without the official authority to make final decisions. CPAC reviews confidential information including details of the incident, statements made by the complainant, witnesses and officers, and, if available, video footage. Members discuss the evidence and vote in open session, but the files are not released to attendees or published in the minutes. When documents like video footage are included in a case, the committee calls an executive session. Mitchell said this civilian review body should make the process open to the public through transparency. Currently, complaints cannot be requested through the Freedom of Information Act, he added, so community members invested in cases are denied access to the documents, even though they are discussed in a public meeting. CPAC can access information about the complainant, but Sallach said that only happens occasionally. Correction: A previous version of this story misstated the Human Services committee’s role in the police complaint review process. The committee is made aware of Chief Richard Eddington’s decision but does not take the final vote to determine if action will be taken. The Daily regrets the error.